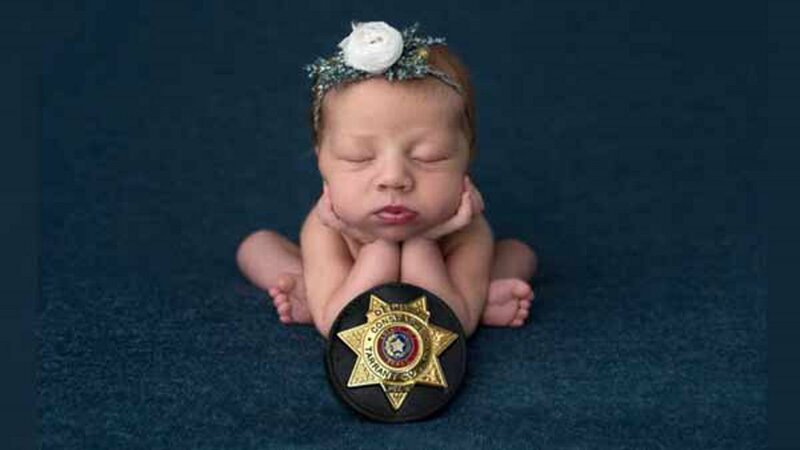 GRANBURY, TX -- A Texas couple found a special way to show their gratitude to the police deputy who helped deliver their daughter in a parking lot. 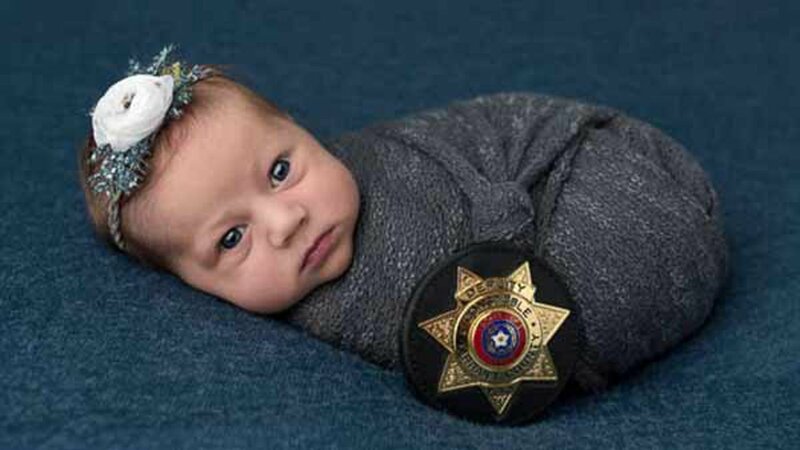 Destiny Hall, 26, and her husband Caleb, 28, of Granbury, honored the deputy by photographing their newborn, Evelyn, with his badge. Deputy Constable Mark Diebold of the Tarrant County police flagged down the couple when they were speeding to the hospital on July 18. Diebold insisted on escorting them the rest of the way, but had to step in when Denise went into labor early. With Diebold's assistance, Evelyn Joy Deborah Hall was born that day at 6 pounds, 11 ounces. Last week, the couple dedicated Evelyn's photo shoot with Cyndi Williams Photography to Diebold. "It was amazing," Diebold told ABC News. "It was heartfelt and it was a big deal. That photo shoot reminded me that [police work] is what I need to keep doing until it's my time to stop."